Removes dead skin cells and blackheads. Routine cleansing does not remove dead skin cells and deeply embedded impurities, leaving skin lifeless and prone to blackheads. Exfoliating regularly is key to deep cleansing and removing debris. 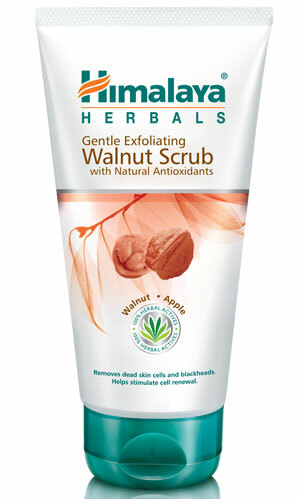 Himalaya Herbals Gentle Exfoliating Walnut Scrub is fortified with Walnut granules that gently exfoliate dead skin cells and blackheads while Apple, rich in natural antioxidants, helps stimulate cell renewal, giving you soft and younger looking skin. Gently massage Himalaya Herbals Gentle Exfoliating Walnut Scrub with fingertips in a circular motion over cleansed face and neck, avoiding the area around the eyes. Wash off and pat dry. Use 2-3 times a week for healthy, glowing skin.